There are those of us who like to live life on the edge. I for example, was running Windows Vista and Office 2007 before SP1 was even out. Don't even think I can be stopped, I'm a man on the edge! 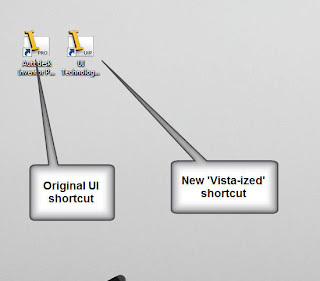 Now, the Inventor UI preview is available for download from Autodesk Labs, located here. The screen capture below is an example of some of the changes. By installing it, you have the option to get the new 'Ribbon' features similar to what you would get in the Office 2007 products. My personal view, after some 'seat time' with Office 2007, I've grown to like the interface myself. After a few minutes working with Inventor's new UI preview, I think I'll like it too once I'm accustomed to it. And don't worry, there is a safety net. When you install the preview there are two icons to start Inventor, one with the old UI, the other with the new UI. If you choose to try it, have fun!